So, after spotting a brand new Melbourne shop over on The Design Files today and appropriately salivating over the gorgeous pics, I made a mad dash over to Hawthorn to check it out. 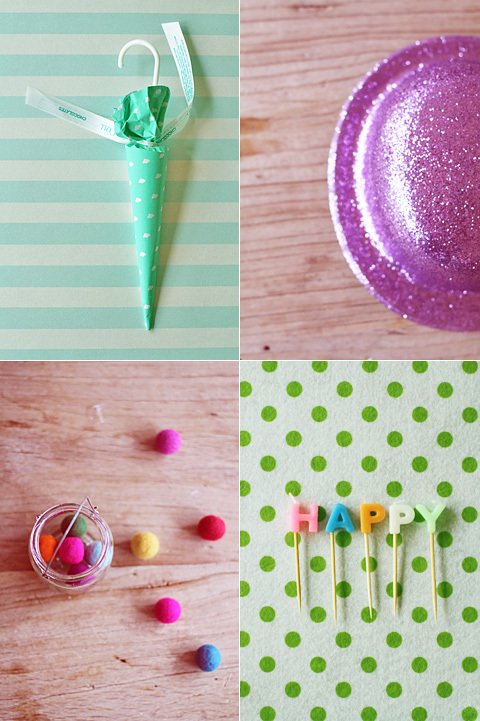 It ticked all my boxes- Bright, whimsical and colourful with cutesy homewares and knick-knacks and a logo to-die-for. PLUS they stocked an item that I desperately wanted- A retro style label maker by Motex with pretty neon coloured tape. Stripes, pleats, striking colour and pattern combos, a touch of quirkiness... This spring/summer collection from Handsom ticks all my boxes. Love it! I rarely gush over shoes. In fact, I'm an embarrassment to womankind in that I mostly despise shoe shopping. 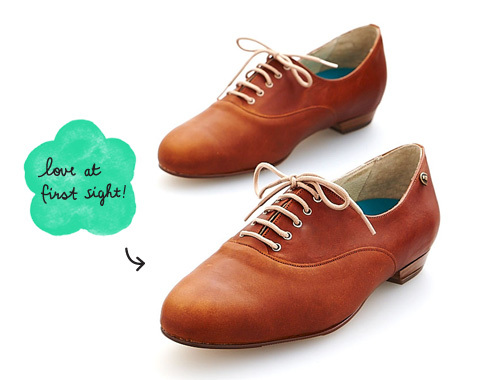 So it was a bit of a surprise when I happened across this pair of tan, oxford style lace-ups and realised I was completely in love. Spotted at this gorgeous shoe shop in Armadale called "Bared". Check out their website and/or if you're in Melbourne, pop in for a gander at their Armadale shop. What a frustrating week! First a nasty computer virus then an erratic server- so sorry for the lack of updates thus far! Anyway, better late than never right? 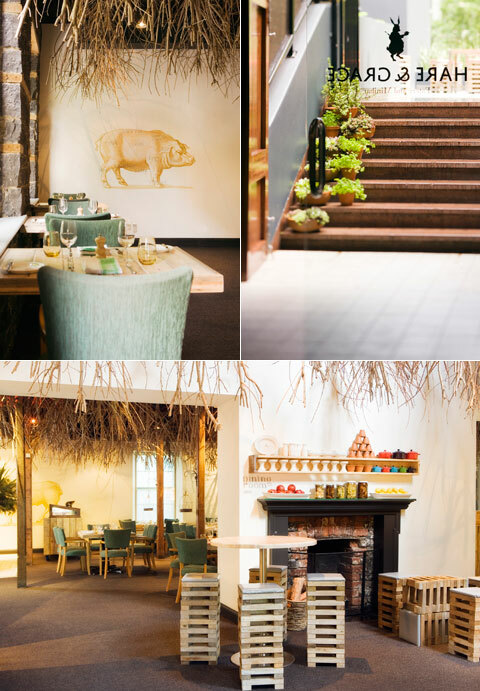 I'm currently tempted to pay a visit to Hare & Grace- a Melbourne eatery and minibar designed by the talented Joost Bakker. Judging from their website gallery both their food and interior look equally delicious! With a strong focus on eco-friendly practice and design, Apples and Jam in South Melbourne looks like a wonderful new space that hosts fun, crafty and creative parties for kids. They also provide children's classes and playgroups. Check out the beautiful wedding and engagement portfolio of Melbourne based photographer Jonathan Ong. We've just booked him for our upcoming engagement party! Found via Polka Dot Bride. Loving the mix of exotic fabrics for interiors and for fashion at Fenton and Fenton in Prahran, Melbourne. I'm really loving the current aesthetic trend in specialty coffee houses and roasteries in melbourne. A mix of factory and science lab. Stainless steel, wooden crates, army greens, amber jars... The juxtaposition of cold, clinical metals and warm, comforting woods. I swear, if not for an unavoidable caffeine aversion I would be hanging out at these places all the time. Below: Market Lane Coffee in Shop 13 Prahran Market- 163 Commercial Road. Designed by Claire Larritt-Evans. Check out more pics of the project on her blog. I just love the attention to detail. Spotted at the Melbourne Design Market over the weekend- Lovely rubber stamp sets to create your own landscape imagery! Hand-crafted in Melbourne by Two Degrees. Love the use of distinctive Aussie landscapes. Would make a very unique gift this Christmas and would even be great for making your own Christmas cards or decorating gift wrap.